BRUSSELS, Belgium, November 14, 2013 (ENS) – Nearly nine out of 10 Europeans (88 percent) believe that biodiversity loss – the decline and possible extinction of animals and plants, natural habitats and ecosystems in Europe – is a problem, finds a new public opinion survey. Nine in 10 respondents to the latest Flash Eurobarometer survey believe that the decline of forests, climate change, the endangering and disappearance of animals, the decline of natural habitats and the endangering of some plants are all serious problems. The survey was carried out by TNS Political & Social network in the then 27 Member States of the European Union and Croatia June 26-28 and released in November. Some 25,537 respondents from different social and demographic groups were interviewed via landline and mobile phone in their mother tongue on behalf of the European Commission, DG Environment. Across the EU, more than nine in 10 respondents think that pollution of air and water (96 percent), man-made disasters (96 percent), intensive farming, deforestation and over-fishing (94 percent), climate change (91 percent) and conversion of natural areas to other uses (91 percent) threaten diversity at least to some extent. Slightly fewer Europeans think that invasive plants and animals threaten biodiversity (78 percent). Among Europe’s 1,000 species of native mammals, birds, reptiles and amphibians, 155 are classified as threatened, endangered or critically endangered. Conservation experts warn that 16 of the endangered animals will soon be extinct. 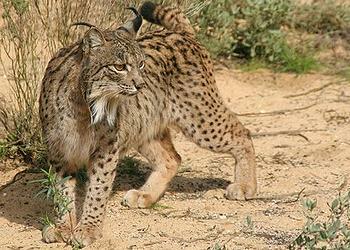 For example, lynx are nearly extinct in Portugal where few, if any, remain. Spain’s only two breeding populations total 84 to 143 adults. Lynx’s main food source, rabbits, became scarce after the 1940s. That, along with much of their habitat being developed, led to steep population declines. Main threats to bird species in Europe include habitat loss, habitat degradation due to intensive farming practices and the use of poisons. The nonprofit conservation organization BirdLife’s latest assessment of the conservation status of Europe’s birds at continental level, conducted in 2004, showed that 43 percent were in an unfavorable condition – a deterioration from 38 percent a decade earlier. 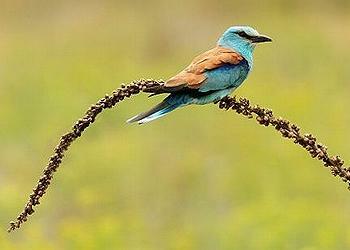 Species faring badly include farmland birds, waders, raptors and long-distance migrants. Almost four in 10 respondents (38 percent) to the Flash Eurobarometer survey say that they already make a personal effort to protect biodiversity, a proportion that has increased slightly compared with 2007 when it was 34 percent. Eight in 10 of those surveyed (78 percent) say that they buy eco-friendly products, such as those that are organic or locally produced, to help fight biodiversity loss. Nine out of 10 respondents agree (93 percent), and six out of 10 (62 percent) very much agree that it is important to halt biodiversity loss because our well-being and quality of life is based upon nature and biodiversity. More than eight out of 10 respondents agree (87 percent) that it is important because biodiversity is indispensable for the production of goods such as food, fuel and medicines. Three quarters of of those surveyed agree (75 percent) that it is important because Europe will get poorer economically due to the loss of biodiversity. A majority, 65 percent, totally agree that the EU should increase the areas where nature is protected in Europe. Much of the European Union’s efforts to protect biodiversity focus on Natura 2000, a vast network of protected areas that now covers almost 18 percent of Europe’s landmass. The survey showed an upward trend in awareness of the network, but from a low level; around three quarters of respondents (73 percent) still have never heard of the network. Familiarity with the term “biodiversity” has increased in 18 Member States compared with the previous survey in 2010. Across the EU, slightly less than half of Europeans surveyed have heard of the term “biodiversity” and know what it means (44 percent). Three in 10 have heard of it but don’t know what it means (30 percent) and slightly more than a quarter have never heard of it (26 percent). More than seven out of 10 respondents agree that the European Union should better inform citizens about the importance of biodiversity.